Shaving can be very challenging on its own but for black men, it is even more complicated. First, they have denser beards to deal with, then there is the sensitive skin and ingrown hair. All these peculiarities can make shaving for black men a real nightmare. Thus, it is important that when picking an electric shaver, you make just the right choice. A typical shaver will cut off the hair at an angle, leaving a huge possibility of bumps developing as hair growing back into the skin (Source). 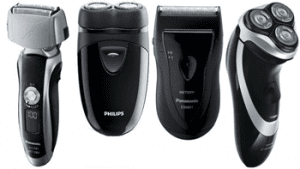 A great electric shaver for black men will ensure that the hair is cut out straight and prevent shaving bumps. Other pointers to look out for when picking an electric shaver include sharp blades, fast motor, and gentleness on the skin to prevent irritation. It should also be able to work in both dry and wet shaving conditions. The Braun Series 7 790cc-4 electric shaver is fitted with an intelligent Sonic Technology that increases power automatically in areas where the hair is denser or less smooth. 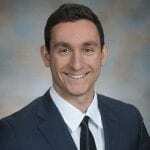 The benefit of this is those areas in question are simple to handle by shaver. So, it’s one of the best choices among shavers for Black men. The shaver also comes with an ActiveLift technology which helps to capture hair that is lying flat on the skin surface before cutting them. It also has an OptiFoil technology that makes it easy to attain closeness of up to 0.5mm while shaving. An Innovative Sonic technology with 10,000 micro vibrations captures even hard to reach hair. For those with irritable skin, the shaver works without irritating the skin. The combination of foil and synergized sharp blades creates a perfect cut that gives you a clean shave. The shaver also has a unique advantage of being waterproof making it easy to use in wet conditions and also makes it very easy to clean. Comes with intelligent sonic technology. Perfect shaves with synergized blades. May not be suited for all skin types. This electric shaver is built to last. 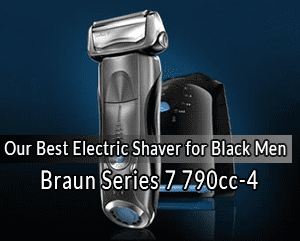 It is one of the most durable shavers for Black men that you will find on the market. It will keep on working for you with optimum performance after months of use so we can say longevity is not an issue. Each of its strong and highly durable blades packs up to 14,000 cuts in a minute. The ES-LA93-K comes fitted with 4 heads and 2 motors ensuring a super-close shave. It also gives you shaves at the best angle possible with its nanotech blades angled at 30°. The pivoting head enables the shaver head to cut very closely to the skin as well, so you can get right into all those tight corners. Moving on, speed is another strong point of this shaver. 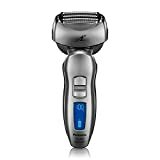 Its speed reduces the need to pass the electric shaver over the same spot multiple times. And complementing is the outer foil technology which helps to lift tough hair up and gives a quick and easy cut. The device comes with a 10-stage LCD to allow user to easily check and monitor the power status. It has a charge indicator as well as reminders for replacement and cleaning of blades. Charging time is 1 hour. 14,000 cuts in a minute. It has a charge and clean station. The Panasonic ES-LA63-S is a pocket-friendly product that still delivers quality to you at a minimal price. Its Arc 4 MultiFit and Multiflex Arc foil technology ensures easy contouring along the jaw, face, and neck. 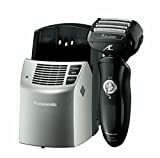 It also has a Pop-Up trimmer which is perfect for sideburns and mustaches combining to give you an overall clean shave. 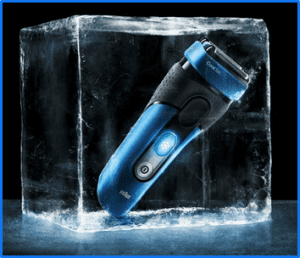 The shaver has a 4-blade cutting system and 14,000 CPM motor which works perfectly both in wet and dry condition. A vibrating foil lifts up hair to give you a closer shave. This unique product from Braun is an all-in-one shaving solution with incredible cleaning action. It not only gives you a clean shave, but the shaver also cleans itself, so maintenance is drastically reduced. It has a system in place, called the 5-action Clean & Charge Station, which broken down, cleans, lubricates, dries, charges, and also selects a cleaning program. The cleaning system is activated with just a click of a button that makes your device feel brand new with every use. Nonetheless, moving on to the shaving itself, the shaver is gentle on the skin, and smoothly cuts hair, making it a perfect choice for Black sensitive skin. Though, that doesn’t mean the electric shaver is limited to only sensitive skin. Ideal for shaving Black skin. Blades lubricate with each cleaning session. Very expensive compared to others. 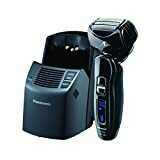 The Panasonic Arc 5 is a top class electric shaver built to suit all types of skin (sensitive or otherwise). A brilliant piece of technology, the five blade arrangement perfectly positioned at a 30° angle easily gives you a balanced shave. It has a linear motor arrangement which gives up to 70,000 cutting actions per minute on all 5 blades. It also comes with a sensor that helps to adjust device’s power based on changes in densities of the hair. The MultiFlex head also helps in getting a smoother shave around areas of the chin and face that might be hard to reach while a Multi-fit ARC foil gently aligns with the facial contours of an individual for absolute comfort. You get both water cleaning options or you can choose to use the automatically cleaning station. 70,000 cutting actions every minute. Comes with a precision pop-up trimmer. Shaves very closely on Black skin. Arc5 sensor for even closer shaves. A little loose compared to others in the Series. Without the correct electric shaver, shaving for black men can prove to be tedious because of the nature of their hair. And asides the ordinary problems like bumps and possible skin irritation especially for men with sensitive skin, using the wrong electric shaver can also result in developing ingrown hairs. This occurs when hair fails to grow out. causing the hair to grow inside rather than outside the skin. Ingrown is one of the biggest shaving problems encountered by black men. And in an attempt to keep getting rid of the hair, it could lead to applying more pressure which will result in irritation. To avoid this, the perfect solution is to buy an electric shaver that will put into consideration a number of factors to ensure a perfect shave. This is perhaps the most important feature to look out for when buying a shaving stick for Black men. While it is impossible to go into the skin and cut ingrown hair, an excellent electric shaver is one that is built at the right angle. This will ensure the closest shave thereby tackling ingrown hairs effectively. A shaver with active life capability is also one to look out for. When your shaver is able to lift the hair off the skin and shave it, cleaner and smoother shave is attained. When it comes to picking the best electric shavers for Black men, a motor speed of close to 14,000 cuts per minute is the best to consider. Apart from reducing the pain when cuts occur, shaving at faster speeds is known to give better shaving results. For electric shavers tailored to be used by black men, strength comes in numbers. The value of cutting actions multiplies as the number of blades increases. The more the blades the better the cut, especially when they are all sharp, since they’ll (as a whole) shave off hair to perfection. Electric shavers with dull blades or motor can be quite harsh on the skin and causes irritation. A shaver that cuts your hair gently without tugging and pulling your hair is one to watch out for. This is an essential addition that comes with most modern electric shavers. The pop-up trimmer gives you an additional lift while shaving mustaches, sideburns, and areas around the lips. Using a trimmer also allows you to shave your hair to style. This is another important feature to look out for in electric shavers. A pivot- action head will make it easier to maneuver the device while shaving whilst also increasing traction, especially in areas a bit tricky to cut. How much usage time you will get from a single charge is quite important. Shavers with long battery life are better alternatives when picking your go-to device. An average of 20 uses per charge is desirable as it means you don’t have to charge the device all the time. Many high-end models today come with their own cleaning stations, allowing you to clean automatically by just clicking a button. Others allow you to manually clean the electric shaver using running water, which can likewise be called manual or a hands-on maintenance. Still, the former should be preferred, since it helps save time and effort. Though, do be careful of ineffective cleaning. The cleaning capabilities of your electric shavers is an important factor to consider as it helps with maintenance and durability of your product. You should also put into consideration the possibility of using your electric shaver in both dry and wet conditions. While some are of the opinion that wet shaving isn’t something ideal to do with an electric shaver, it has proven to be quite effective. This is true to some people, and if you are one of those, having an electric shaver that allows for such is a good idea. How well your electric shaver is able to combine with other shaving products like cream and aftershave is very important. Having established the fact that shaving for Black men is a bit complicated and requires a little more attention than usual. We compiled the products on this list, which consists mainly of foil shavers rather than rotary ones, those who find rotary shavers as a preferable alternative should definitely go for it although it is common knowledge that for peculiar skin types, foil shavers are recommended. The list above is not by anyway exhaustive, there are indeed other great electric shavers that might not have been covered. 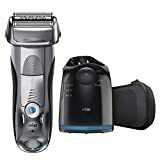 This guide just consists of our own personal choices in electric shavers for Black men, that we feel you’ll either prefer at the most, or simply use (at the least) in selecting the best electric shaver for yourself.